Enter your PNR Number above. PNR is a unique number provided to each passenger when a ticket is booked. You can find it in the top left corner of your ticket. Click on Get PNR Status button. Or click on Clear Data button to reset the form. If you have entered the PNR number correctly, the status will be displayed to you. The status is always likely to change until the chart is not prepared. The chart is usually prepared four hours before the departure time of the train whose departure time is after 12 midday. For trains having departure time up to 12 midday, the chart is prepared to last night. Check your PNR status. PNR statu is the current reservation status of a passenger. 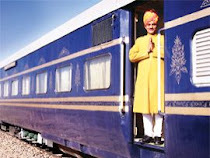 This status includes many details about the passenger like train number, class of travel, seat/berth number etc. But the most important one is the seat/berth number, for which most of the status inquiries are done by the passengers. You can check your latest PNR status on the basis of PNR number assigned to you by Indian railway or IRCTC at the time of booking of tickets. IRCTC PNR status can be checked on IRCTC online ticket booking website www.irctc.co.in. Once you book a ticket online and when you get an unconfirmed reservation you can check PNR status later. One more benefit is that when a ticket is booked with IRCTC, a transaction history is maintained in your IRCTC account, due to this a passenger doesn't have to remember his/her ticket PNR no. and PNR status can be checked with one click of a button from the transaction booked history. The complete process to check the IRCTC PNR status is explained in details below. Enter your username and password to login to your IRCTC account. Go to My Transactions menu, it is available on your left-hand side. Under My Transactions menu, select Booked History option. Re-enter your password when asked, it is the same password that you used to log in to your IRCTC account. Now several options will be available to you. You can check PNR status if you remember your ticket PNR no. or Transaction ID or Date Of Journey. Or a list of tickets will be available to you that you have booked recently. You can select your desired ticket and click on Get PNR Status button. The current PNR status of your ticket will be displayed to you. Also, you can click on Get SMS button to get your e-ticket delivered to your mobile phone through SMS. With this superb facility of IRCTC, passengers can check their ticket PNR status on click of a button. Instead of remembering PNR no. and checking PNR status on untrustworthy websites you can check your reservation status on IRCTC website itself if you have booked a ticket online with IRCTC. What is PNR and PNR status? Indian railway assigns a unique number to each passenger when a ticket is booked. The full form of PNR is Passenger Name Record. This number is assigned to each and every passenger to maintain his/her details. Indian railways maintain these details for certain period of time. This helps the railway to process various refunds, to know the current status, to reply to various inquiries from other departments regarding the passenger etc., it means Indian railways identifies a passenger on the basis of his/her PNR. So, while traveling by train, the PNR is most important. For example, it happens much time and often with most of the people that their ticket is lost. In such case, if you have a valid ID card and you know your PNR Number then that's enough for you to travel through the train, no one can prevent you from boarding the train if you have informed the loss of ticket to the station master. To check your latest reservation status you need only your PNR number. Just enter PNR number in our PNR Reservation Status Check tool and get the status. The detailed step by step process to check the reservation status is provided along with our easy and effective tool. Why you should check PNR status? PNR status inquiry is mostly done to know the latest reservation status of a passenger or a group of passengers, by the group of passenger we mean that the passengers who are traveling in a group with a common ticket like members of a family. At the time of booking ticket, most of the people don't get a confirmed reservation when the ticket is booked. Such passenger usually gets a waiting list or RAC (Reservation Against Cancellation) number. By waiting list, Indian Railway means that a passenger with a waiting list number has to wait until someone cancel his/her reservation. The waiting list passengers are not allowed to board the train until they have a RAC or confirmed reservation ticket. The waiting list number of a passenger decrease by one when someone else who booked a ticket for you with the same train and same class, cancel a ticket. The waitlist passengers are moved to RAC reservation status and then to confirmed reservation status. The PNR status update and the process continue until the chart is prepared. By RAC Indian Railway, means that you get a confirmed reservation when someone else who booked a ticket for you with the same train and same class, cancel a ticket. A passenger with RAC reservation status is allowed to board the train and is allotted a seat to sit. So, now we know that the reservation status of a passenger is not stable until he/she gets a confirmed reservation status and therefore it becomes necessary for a person with Waitlist/RAC ticket to keep on checking his/her PNR status. Who can check PNR status? Anyone who has been allotted a PNR Number by Indian Railway and has a pending journey can check his/her status. To check the PNR status only PNR number is required therefore anyone who has your PNR number can check your reservation status. Where you can check PNR status? You can check your reservation status with our easy PNR Reservation Status Check tool. Otherwise, you can check your reservation status on Indian Railway website, or at IRCTC website or at IRES (Indian Railway Enquiry System) website. The PNR status mobile facility is also available, you can check PNR status through SMS, to check PNR status via SMS send your PNR no to 139 and in return, you will get your PNR status SMS. If you face any problem to check your reservation status or have any other inquiry regarding PNR then please comment below. If you enjoyed and liked this information please share it with your friends and others.